Spare and replacement parts for OASE FiltoMatic CWS pond filters. 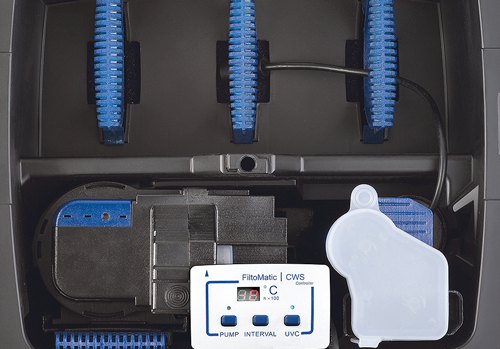 Filter Foam Sets contain complete replacement foam media for each model of FiltoMatic CWS filter. Replacement Quartz Glass Sleeves for FiltoMatic UV. Replacement UV lamps to suit all FiltoMatic CWS filters. All genuine and authentic OASE parts.